Once relegated to being among the smallest and physically weakest of the Autobots – and forced to transform into a Volkswagen Beetle for Primus’ sake – Bumblebee has emerged to become arguably the most recognizable and marketable member of the Transformers franchise; sorry, Optimus. Bee’s popularity is so hot at the moment that a spin-off movie – though a lower-cost one – centering on the vocally-challenged robot has already been announced by Hasbro and Paramount Pictures. 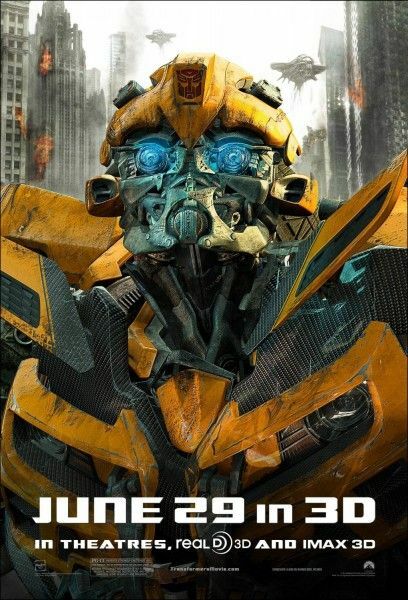 But while Steve Weintraub was discovering the status of the standalone movie while visiting the set of Transformers: The Last Knight, he also found out quite the interesting tidbit: There exists an R-rated idea for a Bumblebee movie that will, in all likelihood, never see the light of day. That’s crazy. So while producer Lorenzo di Bonaventura got us caught up on all things Bumblebee, be sure to read to the end to hear what Michael Bay had to say about the R-rated writers room take. Some of the things will have a very direct relationship. You’ll see some things in here that are laying a pipe. You won’t necessarily know that it’s laying a pipe for another movie, but it’s there. So there’s probably, in a really meaningful way, two or three things in this movie that really have a meaningful aspect in terms of it, and then there’s a bunch of little things. But we’re not making this movie to set up the other movies. That’s what I’m trying to say. If you get too carried away with that, you stop thinking about this movie. And this movie, the two lines of mythology in a sense give you freedom to go a lot of different places later on that may or may not directly relate to another movie, but it’s opening up the universe in a way that, I think, it’s probably the most provocative, in terms of the movie. It’s opening a really large universe of what Transformers is, and where they’ve come from, and how we relate to them, and how they relate to themselves.